If you’re looking to reduce your production of uric acid, you’ll want to specifically limit foods that are high in purines. This is because these foods will cause your body to produce more uric acid, which in turn could lead to another gout attack. Talking with your doctor about the best way to treat and manage your gout is a great idea, and this list will give you some insight on what to keep off your plate. Chicken may be one of the hardest foods to keep off of your plate because it’s so prevalent in our society. It’s the most-consumed meat in America and if you’re trying to reduce the amount of purines you take in, you’ll have to give strong consideration to whether or not you can tolerate chicken. It contains more purines than beef does, but not as much as some fish. Serving Size (100 grams), Purines (175 milligrams), 172 calories. Avoiding your next gout attack is priority one, and making sure you keep an eye out for the above foods should help. Talk with your doctor to find out which foods specifically give you problems, as well as how to better manage your lifestyle so that you don’t build up excess levels of uric acid. There may be a way to enjoy some of the foods on this list in moderation, and along with proper exercise and keeping a healthy body weight. Eating with a lot of oil will it affect my gout ? Thank you for providing this information on possible sources for gout flare ups. I have been avoiding beef ever since my latest gout attack (oddly enough on my left middle finger) and eating roast chicken, ham, and turkey sausage instead. Thanks to your article, I now know that these may be worse for gout than the beef. My flare ups have diminished, but that may be because I am now taking colchicine. I never would have guessed turkey and raisins. My uric acid level maxed out at a whopping 12.2 (abn) mg/dL. i am suffering a gout. last month my uric acid value was 14 now after treatment its come to uric acid value is 4. but still i am suffering for pain. also let me know can i eat chieken and drink beer two times in a week. 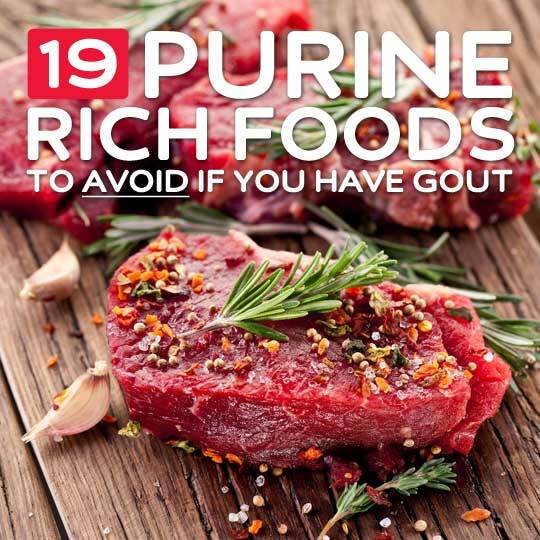 Based on this list of foods to avoid, I would say there are no foods that a person can eat (to avoid gout flare ups) which seems very questionable since each food group mentioned here also states that should ask your doctor to be sure. How does your doctor know whether a certain food or type of meat can be consumed that these online gout related websites haven’t already posted? My very first bout with gout started a couple of months ago and it now comes and goes and I am trying to abide by these ‘rules’ that are posted but I’m getting frustrated because I do my best to avoid the food groups listed but come on, there are no food groups left unless I stick to a vegan type of diet (which is not going to happen). Any specific information about what we gout sufferers CAN eat based on ‘real’ life situations would be greatly appreciated . James, can’t say thank you enough! my husband suffers from random bouts of gout, when it hits is really hits, he drinks on average 4 litres of water a day all year round and more when he has gout. so the water intake does not change anything. he drinks concentrate cherry juice when he feels the first tingle this seems to work most of the time. James–your water push inspires someone like me (right toe) who isn”t “into” water, to force myself….so thanks…I especially like your feisty tone—I’m confused by contradictory things being said about chicken and turkey…. This is my plan sure you correct my knee is feeing better. No pain killers. I hope this helps people when I feel an attack coming on I take my cocktail which consist of the following : (4) 200mg ibuprofen, (2) 0.6 mg colchicine and (2 or 3) prednisone 10mg Now Prednisone is a steroid consult your doctor. But that helps me when I feel an attack coming on. A couple of things I have found successful with my gout. This is one man’s experience. It’s been about a year since my first flareup. The prednasone was an immediate fix – although a temporary one. it is a steriod, and while it makes you feel much better not only with the gout pain being gone (other aches and pains diminished as well! ), some of the side affects are unpleasant. First off, I REUCED my red meat intake-steaks and burgers to only a handfull of times a month. As far as a Protein “supplement” a couple of years ago I found a drink (Premier Protien) at Wallwart, but have seen it other places as well. 11 oz drink, 30 grams of protein, 1 gram of sugar, o trans fats…Various flavors, tastes OK. I drink more water than I used to. Not outrageous amounts. I didn’t want to get on an Rx meds for the gout (at 64 I already have enough meds for heart, blood pressure and chlorestoral). I do take 2 doses of 1,000mg Vitamen C. It counter acts the purine acids, and helps to flush the acids. Finally, I stay active. Optimum words- STAY…ACTIVE. I don’t take casual walks around the neighborhood, although something is better than nothing. I play racquetball 3 times a week. Choose some activity, and do it regularly. Hope this helps some of you. Food for thought…and not full of Purine acid! In reply to the gentleman who asked about gout & diet. I’ve personally found these “blog-type” websites to be full of, well let’s just say “gout”. Don’t waste your time reading this when you can read science based articles instead. Gout can be controlled easily with meds – moderate drinking, moderate eating and reducing “purine foods”. I’ve had gout since I was 21 years old, I’m 55 now and mostly gout free – when I stay on the meds (colchicine & allopurinol) combined with exercise. I have read that certain vegetables like asparagus, spinach and mushrooms are high in purines as well and should be avoided, I see no mention of vegetables here. What do you think ? I think everyone is different. I am bothered by shellfish and dehydration. Some of my relatives are allergic to shellfish. I think it could be that I have a reaction that shuts down the elimination of uric acid. A lot of cites list these vegetables but I don’t know a lot of people who do. I say drink a lot of water and be mindful. Good luck. what is helpful here, they are confusing people. read other websites and see what they publish. 1 table spoon will not provide the purine levels for a gout attack…100 grams as cited as a serving likely will. My husband has had a few attacks thru his lifetime, the one thing that works for him to lower his acid is a good ole fashion clean out of your system. Milk of Magnesia works like a charm. when he feels it coming on, he takes 2 tablespoon on an empty stomach. Milk of Magnesia isn’t going to do anything for got anyway. Uric acid crystals in the joints are not going to be affected in any way by pooping your brains out for a day. The only thing MoM or any laxative ‘cleans out’ is your intestines and colon. Anyone who thinks MoM would affect joints has no grasp at all of human anatomy. David, there is nothing on this planet that would cause me to wish for gout over anything. You obviously have never had an attack and you should be glad. I would drink a gallon a day if I knew it would prevent another gout attack. So why does every medical site list different foods for this? It feels like they’re making it up. One will say “Avoid mushrooms, they have purine.” Another will list mushrooms as very low on the purine count list. Most sites say “Avoid Beef, and some fishes, but chicken is okay” this one lists chicken ahead of both fish and beef. Some say avoid veggies that have purine, another says that vegetable purine has no effect on gout sufferers. This site basically listed almost everything with any nutritional value at all. This all seems very random. Nuts are the best thing for gout–almonds, peanuts, cashews. Just avoid the lunatics. You’re right, its really confusing. Amen Carol, you hit it on the money find out what works best for you after consuming all the information that is out there (may have to go thru some pains until you figure it out). 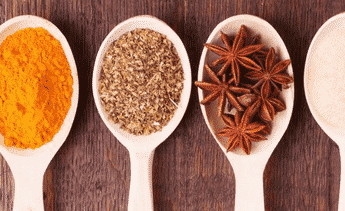 Also consult with an DOM; (Doctor of oriental medicine), they work with natural vitamins that help eliminate the gout all completely, instead of continuously treating it with medication to relieve the pain when an attack occurs, only to have it return again. Thank god the DOM worked for me i`ve been pain free now for three years. The main contributor to my attacks seems to be gluten. I’m surprised that it is not mentioned here. doctor told me 60-75 oz. water!!! they say half your body weight. Yeah right. I’m with all comment. This sounds rediculous. So what we suppose to eat now? Smh! What it amounts to is that everything will cause gout apparently. So we all get to breathe as much as we like, drink purified water, and have a serving of fruit or vegetables on alternate Wednesdays. My guess is this article was written by a vegan on a crusade, because s/he/it listed every form of protein that ever breathed as a source of purine to be avoided, something that flies in the face of most other gout information in multiple ways. or as they more honestly stated in the ‘Raisin’ entry, ‘fish, shellfish and meat’. Lentils and sunflower seeds were just thrown in to muddy the obvious. And they finish up the entire little piece of propaganda with a PS shill link to one of those stupid and insidious 5 fruits/veggies that will either kill you or make you live forever. Tripe, a big fat pile ‘o’ rotting tripe. This site lists turkey # 18 and chicken # 7. Other sites including the arthritis foundation list turkey near the top and chicken way down. ??? In some websites, it’s published that eating chicken is good if having high uric acid because its has no purine, but this website says that eating chicken is not good because its has high purine. please which one would I follow? It’s confusing. I eat almost every thing and have not suffered any serious gout symptoms until I included an awful lo!t of raisins in my daily diet I I have now got swollen and inflamed toes but not the big toe .My sympathy to major sufferers Keep researching your own cure Good luck . This message board is great. very entertaining. Having dealt with gout for 15 years I agree the research is contradictory and inconclusive. I think each of us has different triggers, one of my mine is definitely shellfish. I left the numbers in before each item so you can compare this order with the sorting order used on this web page. 2. Sardines Serving Size (100 grams), Purines (480 milligrams), 208 calories. 3. Organ Meats Serving Size (100 grams), Purines (444-773 milligrams), various calorie counts. 14. Lamb Serving Size (100 grams), Purines (182 milligrams), 283 calories. 6. Chicken Serving Size (100 grams), Purines (175 milligrams), 172 calories. 18. Turkey Serving Size (100 grams), Purines (150 milligrams), 104 calories. 16. Shrimp Serving Size (100 grams), Purines (147 milligrams), 106 calories. 4. Caviar Serving Size (100 grams), Purines (144 milligrams), 284 calories. 1. 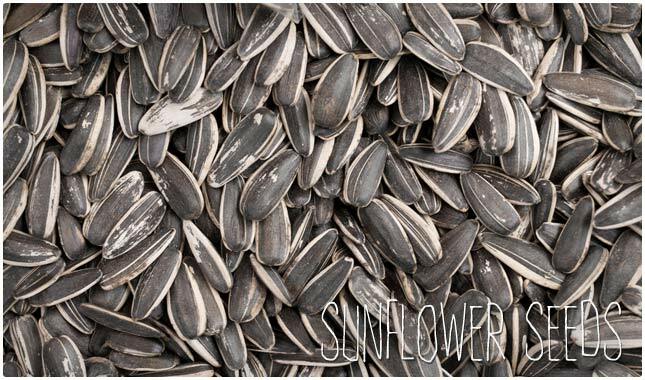 Sunflower Seeds Serving Size (100 grams), Purines (143 milligrams), 584 calories. 19. Veal Serving Size (100 grams), Purines (140-172 milligrams), various calorie counts. 5. 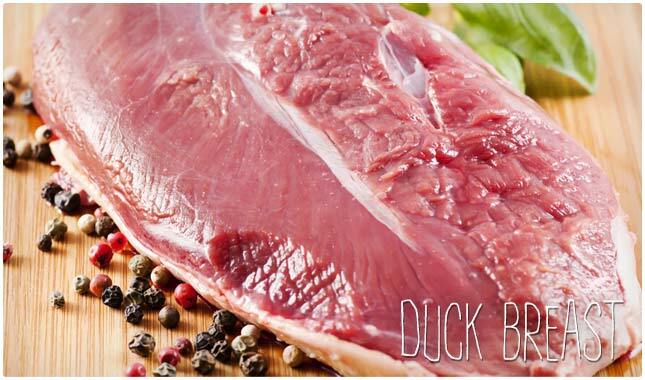 Duck Serving Size (100 grams), Purines (138 milligrams), 337 calories. 12. 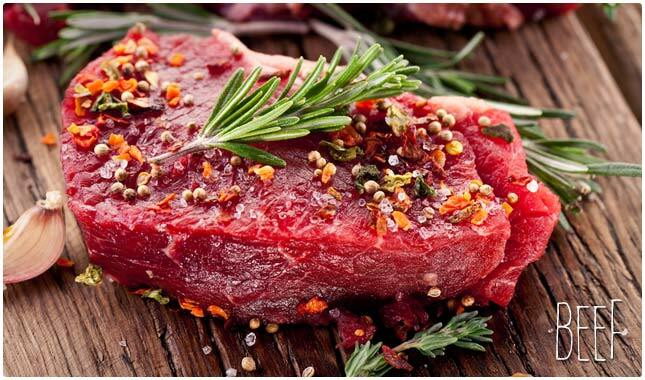 Venison Serving Size (100 grams), Purines (138 milligrams), 187 calories. 11. Scallops Serving Size (100 grams), Purines (136 milligrams), 69 calories. 8. Ham Serving Size (100 grams), Purines (131 milligrams), 162 calories. 9. 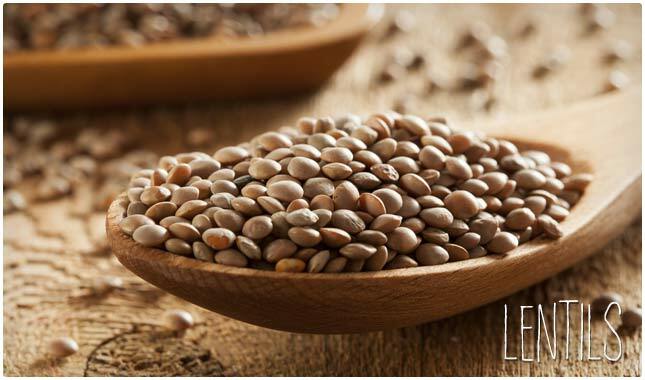 Lentils Serving Size (100 grams), Purines (127 milligrams), 353 calories. 15. Lobster Serving Size (100 grams), Purines (118 milligrams), 89 calories. 10. Mussels Serving Size (100 grams), Purines (112 milligrams), 172 calories. 7. Fish Serving Size (100 grams), Purines (110-345 milligrams), various calorie counts. 17. Beef Serving Size (100 grams), Purines (110-133 milligrams), various calorie counts. 13. 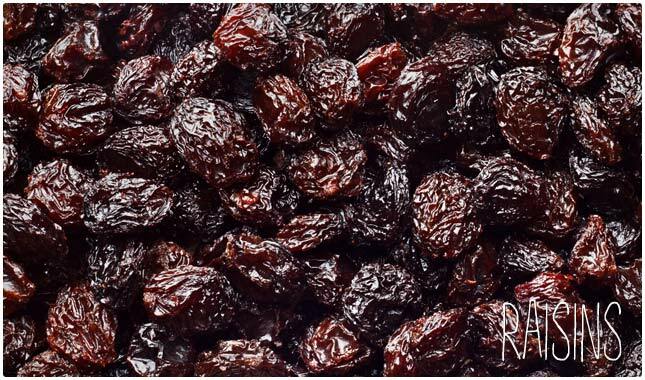 Raisins Serving Size (100 grams), Purines (107 milligrams), 302 calories. Vegetable sources are not directly linked to gout attacks. Meat/ animal products are. I have been on a vegetarian diet with great relief. 3. Wyler’s Beef Bullion – several cups (not from the salt or beef, but because it’s made with a gelatin derived from pork). A close runner up would be turkey. I can have a small slice, but definitely not a full serving. Now the strange part, especially seeing the other comments: I can pretty much eat all the chicken, beef, shrimp, sunflower seeds, mushrooms, veggies, fruits, and even gluten-filled products that I want. As long as I stay away from those 4, I’m fine. Oh, yeah, when I lost weight (from 283 to 193) most of it completely disappeared, too. Not sure how much of it was weight and how much diet, as I discovered these things during the weight loss process. That said, I’m still avoiding the top 3 like conservatives avoid Obama. I think everyone’s metabolism is different. I can eat chicken all day long. One hamburger and I am in trouble. I have also learned the importance of water, vitamin C and exercise. These three help keep things in check. Also, if I am eating something I KNOW may cause a flare up, I drink 2-3 oz’s of organic apple cider vinegar. If I drink it as soon as I feel a flare, it eases the pain almost immediately, YMMV. Others swear by cherry juice, it does nothing for me. Been suffering for years on and off. I am 7 days into an attack. Tried everything but this is one stubborn ailment. Today I had a bunch of ginger and several pieces of chocolate after dinner and I feel better. Holy crap. I think the chocolate worked the best. Cherries pills are useless. AIndomethacin gives minimal relief. Tons of water, who knows? Apple cider V, lemon trace mineral drops–maybe a bit of help. But ginger today and chocolate– that really helped. Icing helps too. I also agree that the dietary information confusing. The only thing that I have found that works consistently is eating whatever I want in moderation. I try to limit the amount of things I choose from the DO NOT EAT LISTS to one thing every 2 – 3 weeks. I When I feel even the smallest twinge of pain I drink lots of electrolyte enhanced water and take the Bragg Apple Cider Vinegar cure (1-2 tsps. Non-filtered apple cider Vinegar in an 8 oz. glass of water, add honey, maple syrup or molasses to taste. I add to this basic recipe lemon juice and ice which makes it taste like a glass of lemonade). The vinegar cure always nips it in the bud. I had only 1 full blown gout attack about two years ago. Since then these methods have kept it in check. I decided today that I am going to try being proactive from now on. They say that the Apple Cider Vinegar cure is good for a host of ailments and will stimulate health in general so I am going to start taking it every day to see if I can eliminate the problem all together. Not mentioned anywhere in this list is tea. A doctor recommended me to drink weak tea if I wanted to help avoid a “gout bout”. I did not follow his advice for years until my gout flare ups made me think again. I found i could have a about a pint of strong tea every other day as long as I drank at least 2 litres of water in addtion to other drinks such as coffee. These comments made my day. Had tears in my eyes and couldn’t stop laughing. You all helped me more than any pill. Am getting over my first horribly attack of gout. Wouldn’t wish this on an enemy. Thanks everyone. Reading your comments was a tonic. Loved, guess I’ll just eat air. Hilarious. Nobody mentions where they have the gout. Toes, ankle hands etc. my out break/s is either the left wrist or ankle, the tart cherry pills and seemed to have helped, have use colchicine but it sends me to the bathroom within 24 hrs. , I cant drink that much water due to heart/ kidney problems, I find it interesting how it varies from person to person, , but will try the apple vinegar, it seems to be a cure all for many things including gout. take it every day til my last (?) (implied). I have less time in front of me than behind me, but want to know more before I commit either way. What do you think? My heart specialist put me on Apo allopurinol once daily , and if I feel the slight pain I start a week of colchicine….I have not taken any gout meds for about two months and I eat with discretion, I found that I felt twinges of gout like pain in my ankle and big toe whenever I took the allopurinol ….I do not think it is kind over matter lol , cause the pain stopped when I did not take the meds. When I did get a bad attack earlier this year as directed by do. I took colchicine three times a day gpfor five days…and I use panadeine pain killer when the pain was unbearable. I just thank God everyday for no gout pain???? I in a bad situation. I have elevated uric acid, on blood thinner( needs to watch Vit K, limit vegetables) low salt, and low fat. I have run out of things to eat Please HELP!!!! Sue: I am also on blood thinner. Talk with your doctor about coming off Warfarin/Cumidin (very diet sensitive) and going on one of the newer drugs like Xarelto (there are others). The newer drugs have some risks (they are still working on good reversal drug alternatives), but they do not require special diet, nor do they require as much in the way of regular screening. They are more expensive, so if not covered by your insurance (mine covers), you may have some more thinking to do. Best to talk to your doctor and get her/his advice though. Best of luck. My greatest sympathy to you all!! Just got over a major attack lasting a month, with 2 weeks of that on crutches and 2 weeks totally immobilised. Have previously spent 2 spells of 10 days at a time in hospital with gout. I am fit, healthy with a very stress free lifestyle, yet have suffered for over 20 years. I am in total agreement, information is confusing, misleading and in a lot of cases downright wrong, even from the medics!! I’ve had 3 gout flare ups. Once in 2014 and twice in the past two months. My dad had gout. My two brothers have gout. They tell me to stay clear of legumes, shellfish, seafood, turkey and red meat. Drink plenty of water before and after a meal. In 2014, the trigger was turkey. I remember having smoked turkey and the following day, my ankles were burning up and pulsating like knives poking on every nerve on my ankles. I crawled to use the restroom and gnashed my teeth during the flare up phase. Two sleepless nights in excruciating pain. 4-6 days of recovery just drinking water and eating low purine foods. I could not put pressure on my feet. Knowing your trigger is very important so you can avoid that. Everyone has different triggers. That being said, if you have family members who suffer from gout, it is likely that you have similar triggers. Red-meat in May this year was a trigger. And recently, tuna and shrimp. What do I eat? In the mornings, I can have greek yogurt with almonds, fruit or Kashi. I can drink coffee and have a little bit of half/half. For lunch, I can have a sandwich but not with deli meat. Deli meats are processed. You want real chicken. Light on the mayo. Have fruits. Dinner, I can have eggplant parmigiana or spaghetti with tomato basil. Sometimes I drink tea; and I avoid sugar as much as possible. I can have cheese and crackers for snacking. I know that for some, my diet can trigger gout. However, this works for me. I haven’t had a gout attack lately. My feet feel fine. I just have to be mindful to drink plenty of water before and after every meal. In flare up mode, I take advil. I tried other meds but it’s just not as effective as water. Drink water even when you’re not thirsty. Gout is wicked. I don’t suffer but my husband does. His last attack was more than a year ago because we found the cure. After six weeks of not moving bc. of swollen legs. He was ready to admit he had gout. Hello? With my help cooking, He totally cleansed his system for six months with a basically careful vegetarian diet – tuna once a month, chicken once a month no beef or raw fish or shell fish no beans or lentils – he also takes gout pills. Even though he took gout pills for years they did not stop the attacks. The miracle cure for him as been unsweetened concentrated CHERRY JUICE. Religiously every day and sometimes twice a day he takes 2 Tbl. in a glass of mineral water. Cost is $18 for the bottle, but that’s cheaper than meds or a doctor’s appointment. You can get the concentrated mixture at WholeFoods in the refrigerated section and at some Kroger stores. He can now eat meat, chicken, bacon (although I frown on that) salmon, tuna and maybe once every four months sashimi. He was having gout attacks every six weeks until he had his major attack June & July 2015 when he couldn’t move, get out of bed, and lost ten lbs. I’ve also heard that German beer is okay to drink because it uses the male hops unlike the female hops used in American beer. Trader Joes carries a German beer in a white can with gold designs and although it isn’t the mico brew, it is pretty good and doesn’t cause gout. There is something about the deep red concentrated unsweetened cherry juice that works. Remember this is not the cherry juice in bottles that is full of added sugar. Good luck. I feel relief knowing that I am not the only one dealing with this problem. I just had my first attack of gout (Satan’s Disease) in April and I’ve never felt such pain. My problem is; that I suffer with Type II diabetes, fibromyalgia, anemia (which causes me to crave ice) restrictive lung disease and rapid heartbeat. I ate foods to deal with my diabetes and anemia; lost weight and all of a sudden here comes gout. The foods I need for my other ailments such as liver, beef. vegetables I can’t eat because of the gout. I might as well eat air as someone mentioned. My diet consists of ice, water, chicken, and oddly enough Mexican food. I eat shrimp in moderation, but no other seafood. I make my own Mexican food by using 93% lean beef, it doesn’t bother me.That is a big surprise. I was dealing with the diabetes regimen and my doctors don’t give me any advice about anything else. The ice craving is rough and when I speak to them about it, they ask me if I take iron pills. I want to thank you all for your comments. You all have lifted my spirits. I can take your experiences and advice and try them to see if they can work for me. I’m only 62 years old and after five back surgeries at the VA hospital I feel as if I am 82. I have people telling me what to eat and they don’t have gout. So, I thank you all again. I now do believe that I can make a difference in my own treatment. I am 41 and have had gout for 2 years. My grandfather had gout. I am finally finished with the latest episode of gout in my left foot (ball of foot, underneath the toe nail, around the ankle joint, underneath the big toe) which has moved over immediately after gout in the right foot. My last doctor’s blood measurement of uric acid was at a 9. The episode this time was the worst ever, where I wanted to cut off my toe! I had 3 gout attacks in 1 month and I could not take the usual ibuprofen because I was 7 weeks pregnant! So i suffered through the needle-like pain, with my foot propped up on the couch above the level of my heart. That seemed to ease some of the pain until I dropped my foot to the ground to go to the bathroom. Ouchy! I hate gout. ugh! BTW soaking my foot in a cool bath of charcoal seemed to help. Since I usually have a gout attach every 6 months, my husband and I tried to figure out why the gout kept returning this time for 3 intense attacks in a row…all in 1 month. I was not eating any meat, only vegetables. The only thing different was that I would not take any medication in fear of harming the pregnancy…and also because I was taking a pre-natal pill every day. We looked at the ingredient and found that the pre-natal pill included ALL the type of high purine fish I was NOT supposed to eat for gout. So long story short, I have now found a different pre-natal pill (without the fish). I pray that I won’t get a 4th gout attack! Hi Kristene, you may find this article helpful: http://bembu.com/home-remedies-for-gout. Are any two purine tables in agreement? I think not. New to gout, and in my first attack in the knee. Also any of the “thiazide” medications for high blood pressure and aspirin are also hard on gout. I am cooking for my dad who has anemia and non-Hodgkins lymphoma and needs a high protein diet. My husband and I ate the same foods and now we’ve both got gout (but Dad is doing great!) Anybody find it worse in the winter? Does exercise help or hurt? Glad to have found this community as I also found the purine lists confusing. Eggs? My doc said they are not as hard on cholesterol as we were led to believe. On the mend now, day 7 and have read ALOT. I found several things that brought relief. Ibuprofen did not ease pain. Day 1 and 2 the worst . It was in entire thumb, all joints and wrist. First time with this. I was able to help it and did not go to doctor. A soak helped relive pain the most. 1cup vinigar Bragg’s with 1cup lemon juice from a green bottle with 1/2 cup table mustard all mixed together. I soaked hand for 15 – 30 minutes and this reduced the heat in area, the pain and the swelling. I had to do it several times a day as needed. I now know my diet caused it bc I have bought fresh asparagus since it is on sale now. And I had shellfish crab and clams at a buffet and ice cream and did not drink a lot of water. Aware now. Of H2O. Never had this but have had pain in joint, now I think it was mild gout. Anyone interested in reducing arthritis should check out the book, Wheat Belly. New short grained wheat (introduced in America in the late 50’s) is indigestible and causes inflammation in joints.I’ve been wheat-free for 30 years and only suffered arthritis when i went back on wheat for a 3mos period of time. Pain was terrible. Back on the wagon with no wheat and no arthritis! The only other food that effected me –was HAM. It is evil. I feel such sympathy with all my fellow gout sufferers. As noted, many different dietary triggers, depending on the person. My one “classic” event was due to shrimp. I see swelling when dabbling in other shellfish, so that is a clear trigger. Also, note that lactic acid from intense exercise is given priority for processing by the kidneys, so athletic exertion can trigger a gout bout. I have done better by avoiding ibuprofen, because we need the kidneys to work at full capacity to clear the uric acid. This, when you look at more recent research, a lower carb diet is helpful. Think of the beating the kidneys take as any of us head toward Type 2 diabetes. After you get the big triggers under control, doing all you can to let the kidneys do their job will do wonders. Reduce processed carbs and load up on fresh veggies. You will see the generalized inflammation recede. Good luck! Now what remains for me? I guess it’s easier to become a plant and live on photosynthesis fortunately water has no purines in it. What an amazing post about gout! I was told by a chemist to have a 1000 mg vitamin c tablet morning and night to avoid gout attacks. the science is that we cant store vitamin c and we excrete the excess. The excessive vitamin c also helps rid the body of uric acid.